In terms of scale, 140 outlets and a gross leasable area spanning 390,000 sq. ft. are tiered over four levels that bring together high-street fashion brands, aspirational couture, al fresco dining before a shimmering waterfront, cinematic thrills at Reel Cinemas, engaging children’s entertainment, and even the convenience of a supermarket. Connected seamlessly to the premium luxury hotel, The Address Dubai Marina Mall, it allows effortless access to the property’s inspiring lobby and beyond. A relaxed, un-hurried pace defines the mood at Dubai Marina Mall, while the chic setting creates a sense of exclusivity and finesse, reflecting your own sense of style, whether casual or fashion-forward. 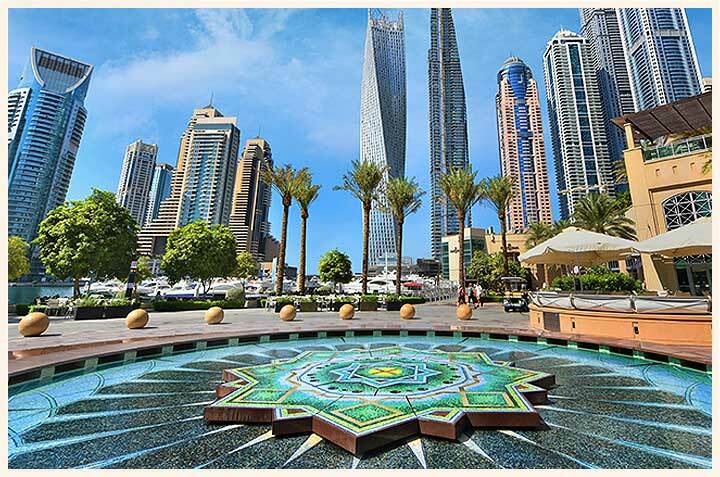 It is the quintessential Dubai destination, where you always feel welcome and long to return to time and again. 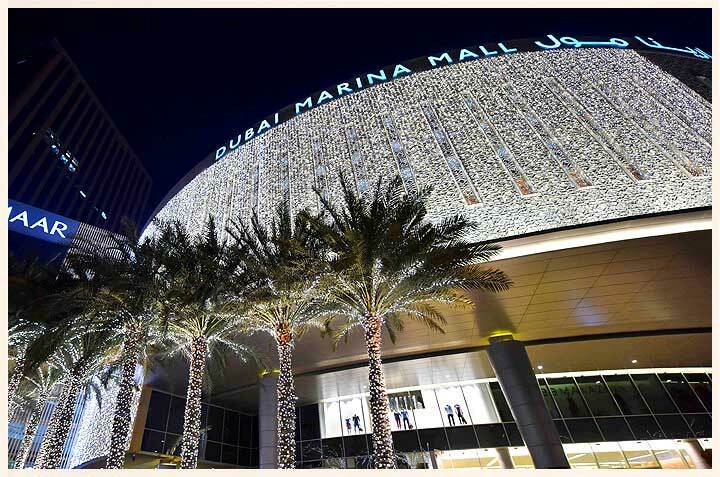 Dubai Marina Mall offers you the best of the big malls right in the heart of the Marina – it is a modern shopping and lifestyle destination for residents and visitors of the Dubai Marina community. Dubai Marina Mall has been designed with you in mind. We’ve created a relaxed, stylish environment which makes spending time here effortless and enjoyable. Feel free to be yourself, whether your style is casual, chic or fashionably cool. Dubai Marina Mall is a place where you’ll feel at home. What are the ticket prices and contact details for Reel Cinemas? Will I be able to access Wi-Fi in the mall? Yes, Free Wi-Fi is available across the mall. Does the mall offer repair or alteration services? Services such as repair or alteration is available on the P Level next to waitrose. As for shoe repair is not currently available in the mall, but you can expect to enjoy these convenient services soon. Does Level P indicate ‘Parking’? No, Level P stands for ‘Promenade Level’. What’s the best place to park, to get to Waitrose? The most convenient parking area to access Waitrose is Level L2, which is the parking level right off Sheikh Zayed Road. Is there a specific code of conduct to be mindful of at Dubai Marina Mall? While at the mall, visitors are required to dress respectfully, keeping in mind the cultural and religious values of the country and its residents. For example, knees and shoulders should be covered, and see-through clothing must be avoided. Please refrain from public displays of affection, such as kissing or holding hands. Smoking is not permitted in the mall, although some restaurants have designated smoking areas outdoors. The consumption of alcohol is not permitted in the mall. Pets may not be brought into the mall.